﻿Cold flames beget a burning frost. Contradictions have little place in the fields of logical inquiry, but in the realm of the arts it is often how innovation occurs, and ultimately how the most aesthetically powerful of music comes to be born. 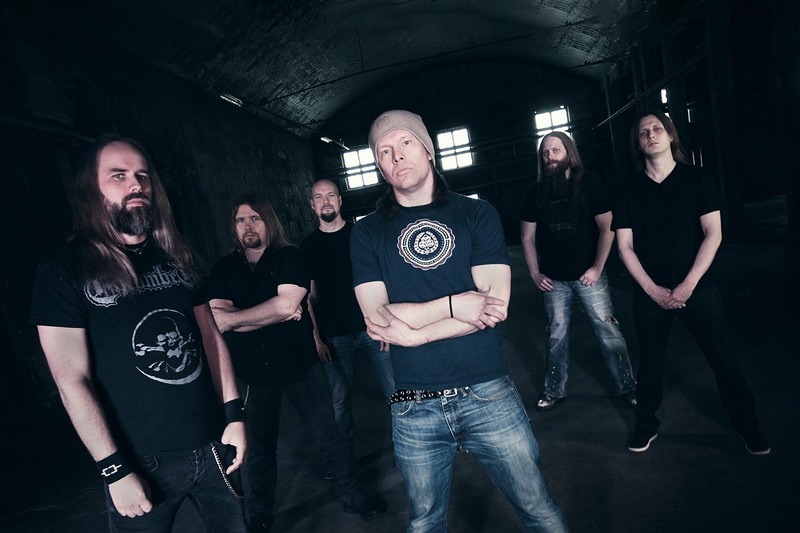 Arguably the most blatant of paradoxes to ever rise out of the genre of metal was the melodic strain of death metal that first arose in Sweden in the mid-1990s, centering on famed Gothenburg three in At The Gates, Dark Tranquillity, and In Flames. The style essentially took the atonal rebellion and brutal character that festered out of the extreme thrash metal scene and turned many of its accepted conventions on their head, all the while still maintaining a strong semblance of the original style. All but immediately following the release of the formative albums of said bands, neighboring Finland all but immediately took notice and ushered in its own more power metal infused and keyboard-happy variant on said style, birthing its own wave of melodic death metal before the initial one had fully crashed onto the beach. As with the noteworthy Swedish bands, there was a strong degree of diversity in approach among the Finnish crowd, forming a veritable spectrum of possibilities within the generally sorrowful and consonant expression of the style. Omnium Gatherum arguably took the most nuanced and eclectic of approaches, merging the impacted-based, power/thrashing character of Kalmah’s approach with the atmospheric, spacey landscapes attributed to Insomnium. With the passage of time, they’ve proven to be among the more consistent of the pioneers of the Finnish scene, save for a change in lead vocalists prior to the release of Stuck Here On Snakes Way that brought a greater degree of grimness and depth to their sound with the entry of deep-end barker and Elenium front man Jukka Pelkonen. In recent years, they’ve generally avoided the symphonic excesses of Eternal Tears Of Sorrow and the technical ones of Children Of Bodom, while developing their sense of atmosphere and upping the ante on all fronts, and The Burning Cold brings it all into focus. 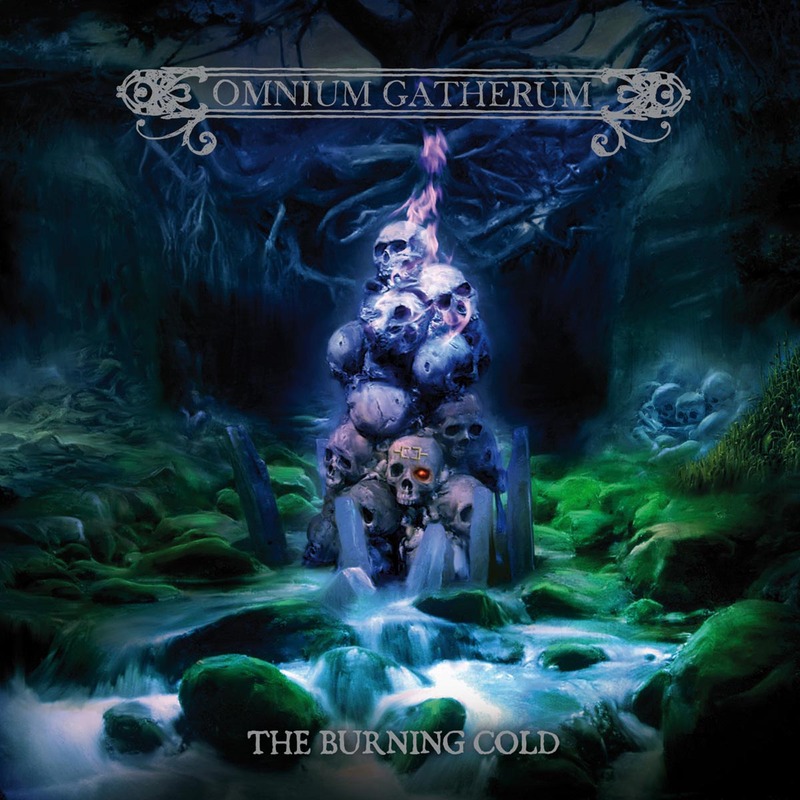 With the common trend among bands lately to starts things with a wave of symphonic bluster over a brief instrumental prelude; it is refreshing to see Omnium Gatherum take a more subtle approach to kicking things off and building gradually to a climactic roar. In a sort of storybook fashion that includes the obligatory front and back cover, the title of the album is split into two songs in “The Burning” and “Cold”, the former being a brilliant display of dense keyboard and guitar work that coasts at a doom-like crawl, while the latter moves a tad bit quicker and closes the album off in a sorrowful, power ballad-like fashion with the same thematic material front and center. The rich texture that is imbued in these songs through a diverse mixture of synthesized strings, acoustic and electric guitars and a pounding rhythm section doesn’t reach the degree of pomp comparable to Wintersun, yet there is a similar degree of picturesque imagery implied in the music and a near equal degree of technical prowess at work. While the exposition and denouement of this collection of songs presents a singular theme that almost drones save for the moving parts surrounding it, the body contained between them is anything but uniform. High octane riff monsters such as “Gods Go First”, “Refining Fire” and “Over The Battlefield” spend much of their time thrashing and shredding in a manner highly reminiscent of the most aggressive offerings out of Kalmah and Arch Enemy, taking brief moments of respite from the chaotic battery and Johan Hegg meets Chris Barnes vocal carnage for keyboard drenched and occasional clean vocal elements that incorporate that sort of spacey, almost post-rock vibe that often permeates Insomnium’s recent offerings. On the other end of the spectrum are slower paced, serene expressions of longing and melodic guitar brilliance such as “Be The Sky” and “The Frontline” take the misty, melancholy flavor of the aforementioned band with a heavier degree of keyboard interplay and paint the picture a frosty green. At first glance, the depiction of a pile of skulls amid what looks like a summer’s night beneath a grand elm tree may seem an ironic one for an album that implies the burning frost of a winter storm, but it is ultimately the most fitting visual to adorn an album that balances levels of auditory warmth and cold so equally. 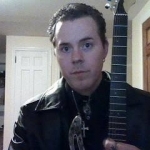 Nay, even the contradiction of death being surrounded by the season of life is an appropriate one here, as there is a quality of beauty and beast at work between the bleak, biting vocal display and the pure consonance of the surrounding instruments seem to both coexist in harmony while canceling each other out. It manages all of this while coming in a collection of compact anthems that are accessible enough to give the listener instant gratification, rather than compelling continued hearings in order to fully blossom. To the seasoned fan of Omnium Gatherum, it’s a worthy successor to a highly consistent back catalog, while to the newcomer it’s a great entry into a maze of sorrowful themes that is equally enticing to melo-death and power metal trustees alike.